 DCM fertilisers are meticulously selected from more than 30 different high-quality organic sources. Most of these are raw materials of plant or animal origin which are derived from DCM! Our DCM organo-mineral fertilisers are formulas in which high-quality mineral components are harmoniously integrated. The nutrient release time of DCM fertilisers has been measured by several laboratories. To characterize the duration of effectiveness of its 100 % organic fertilisers, DCM has introduced the C.O.R.® value (Controlled Organic Release). This value indicates the number of days during which the fertiliser releases its nutrients in a controlled and gradual manner. 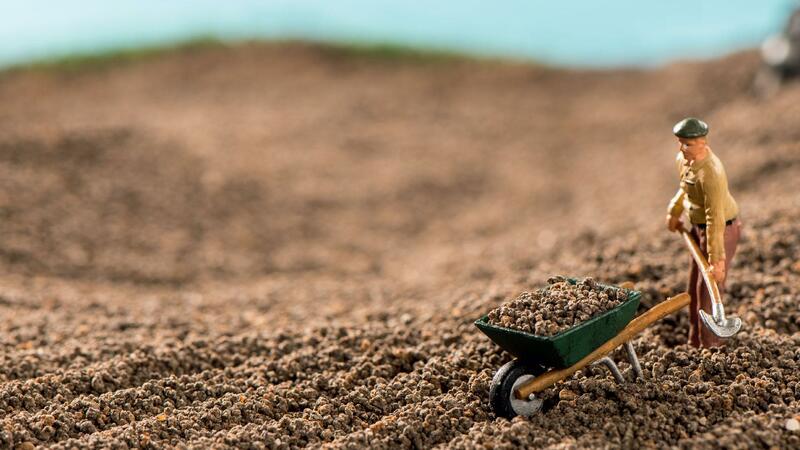 DCM's unique mini-granule, MINIGRAN®, ensures a uniform and better distribution of the fertiliser or soil improver. Studies have shown that this distribution is 60% more effective, resulting in a better rooting and better plant growth compared to fertilisers in crumble or pellet form. DCM offers you a wide range of organic and organo-mineral fertilisers as well as organic soil improvers. 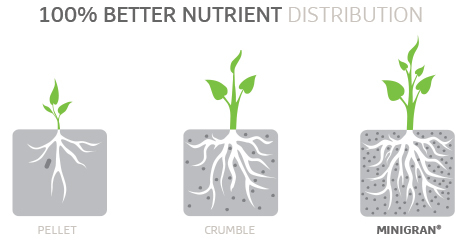 Due to extensive research, DCM can guarantee better rooting with more extensive and active root systems resulting in stronger plants. A diverse and active soil life is the best guarantee for a well-balanced soil. This guarantees better root development and improved plant growth. 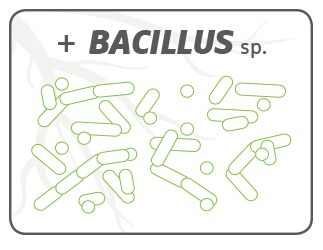 Only under optimal conditions will the beneficial micro-organisms be able to fully develop and multiply. Because all the ingredients used for the production of MINIGRAN® fertilisers are grinded, extra trace elements can be added if necessary to improve plant growth.  Trials show a longer release of the micro elements when extra trace elements are added to the MINIGRAN® granules. This because the organic matter and carbon sources work as a temporary buffer. As mentioned before, all the ingredients used to produce DCM MINIGRAN® are grinded, which enables us to add extra ingredients such as trace elements, if necessary to improve plant growth. Instead of trace elements this can also be a wetting agent.